The 12 national teams from the 18 and under category will be gathering in Seoul, Korea for the XXV 18U Baseball World Championship this summer. The tournament will be held in the capital city of Korea from the August 30th to September 8th. The competing teams will be split into two groups to play the first round. Group A being comprised of Korea, USA, Venezuela, Australia, Colombia and the Netherlands. Group B consists of Japan, Canada, Chinese Taipei, Panama, Italy and Czech Republic. The top three teams from each pool will battle each other in the 2nd round and the top-two teams after the second round will play the gold medal game to determine the best nation in the world for the 18U category. The championship will also highlight the endeavors the world of baseball makes in an attempt to grow young athletes for the next generations and further develop the sport globally, while it serves as a unique opportunity to showcase global prospects for future professional leagues. 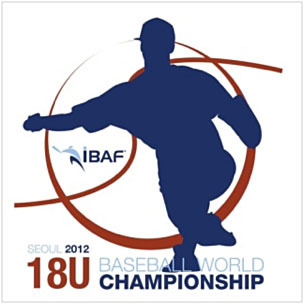 The last edition of the IBAF 18U Championship took place in Thunder Bay, Canada in 2010 with Chinese Taipei winning the gold medal and this year's host nation Korea captured the championship titles in 2006 and 2008.